Mirror lenses can block much more sunlight than tinted lenses and the color of the lenses are more vibrant than a tinted or polarized lens. 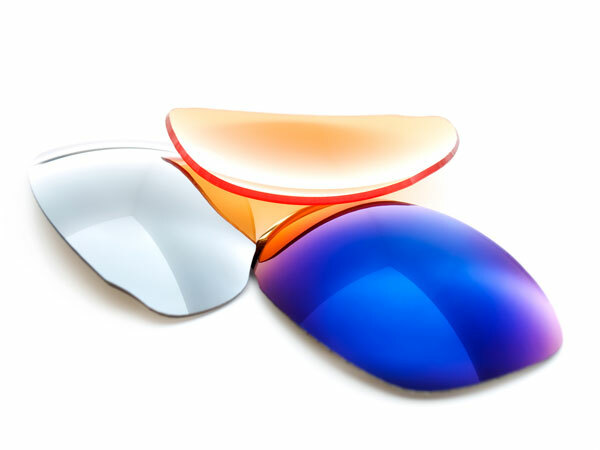 Mirror lenses can be used in combination with polarized lenses or tinted lenses to customize them even further and enhance the color. What is the difference between flash mirror and solid mirror lenses? There are two options with mirror lenses, solid mirrors and flash mirror lenses. Solid mirror lenses are darker and reflect much more incoming light. Flash mirror lenses are lighter in color and do not reflect as much light.